Search advertising is king when it comes to harvesting existing user intent, capturing a user right at their point of their evaluation, using the keywords they’ve typed in as a proxy for their interests right at that moment. But how does one generate interest, and provide true inspiration for a user that may not have known about a product or topic prior to a search? Within the context of paid advertising, this can only be done with display ads. Here are some must-use competitive intelligence tools when it comes to spying on others and improving your paid PPC display campaigns. 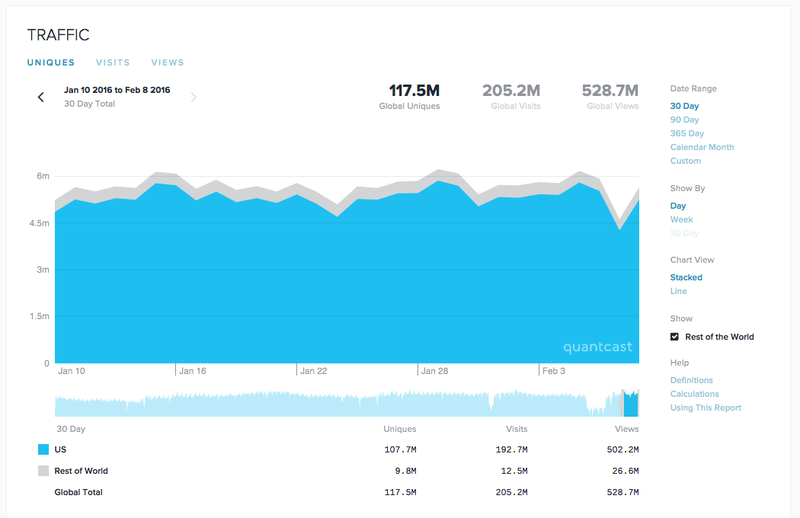 Aside from comScore, Quantcast is the 800 pound gorilla when it comes to audience measurement and analytics on the open web. Free for all to use, whether you are a marketer or webmaster, this free tool can provide extremely rich data on the audience demographics, traffic reach, category affinities, and now even offline data skews for many websites. Within the realm of competitive intelligence, my first recommendation would be a place a Quantcast pixel on your website to better understand your own audience. You also have the option to hide the data so it is not public to your competitors. Another use case would be to search for the sites of your competitors, to see if they have been ‘Quantified’, and you can learn more about their audience and traffic, which should come in handy when thinking about targeting for PPC display campaigns. 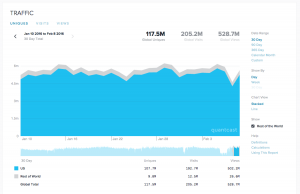 Similar to Quantcast, SimilarWeb provides traffic estimates for millions of websites and mobile apps worldwide, and can give you a view into where most of your competitors’ traffic comes from. A specific portion that is extremely powerful is the “Traffic Sources” section, which will show which portions of your competitors’ traffic come from: Direct, Referrals, Search, Social, or Display Ads. They do have some other very interesting sections like which are the top referring social networks, what the top referring sites are, top keywords they rank for — although some of the paid SEO products in the space will be more comprehensive in this realm. Within the context of paid advertising, they will also show what paid search keywords they are bidding on, and even the different ad networks they are running with. MOAT has been around for a while, recently moving into the viewability and ad campaign analytics space. Their original product was an ad search product, where you can look up ads that were run by any company that you queried. It’s the only free advertising competitive intelligence tool left (paid options are listed below), where you can see the actual ads all of your competitors are running. This can help give inspiration for your own campaigns for types of ad units to run, by looking at what creative and ad copy they are using. MOAT also tells you what websites these ads were last seen on. 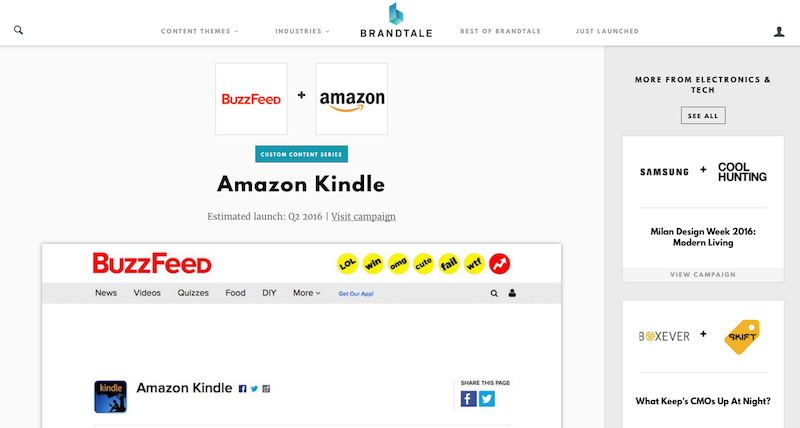 Brandtale is a the largest native advertising database on the web, cataloging over 10,000 native, branded content, and sponsored posts across 250+ web publishers. They are a paid product but offer a 10-day free trial which should give you time to evaluate whether or not you’d like to upgrade. 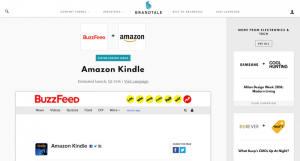 These sponsored posts are usually extremely custom, and are large budget campaigns. This means that the brands or agencies have really spent a lot of time thinking about the messaging, ad copy, and creative. This can be used to not only generate ideas for your own campaigns but also to look up what competitors are doing on larger publisher sites. 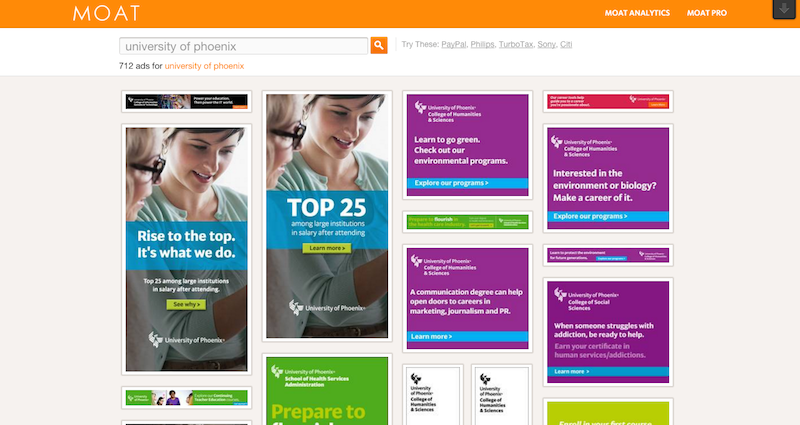 This is a free chrome plugin that every marketer should be using. It shows the advertising, analytics, and all other tracking tags that fire when you visit a website. The easiest use case for this is to visit a competitors’ site and see what tags fire on their homepage, as well as one of their lower-funnel pages. This will give you insight into which Display Ad Networks or Platforms they are working with. Ahrefs – This is a paid product, but extremely powerful is showing you where your competitors rank for organic keywords, of which you can use for targeting ideas. If it was important enough for them to invest the time to do SEO to rank for a specific keyword, good chance they are getting ROI of the traffic coming in from that search term. What Alternatives are there to Adsense in 2016?